If there’s one thing that that I am (being a type A personality), it is super organized! After becoming a mom, I’ve learned how important proper organization really is. My daughter has tons of clothes and toys, and tends to carry them with her often on playdate’s, trips to the playground, grocery store — everywhere! The one thing that I noticed was a big issue was when others had the same items as she had and hers would get lost in the bunch. Most times, she’d just end up losing it. 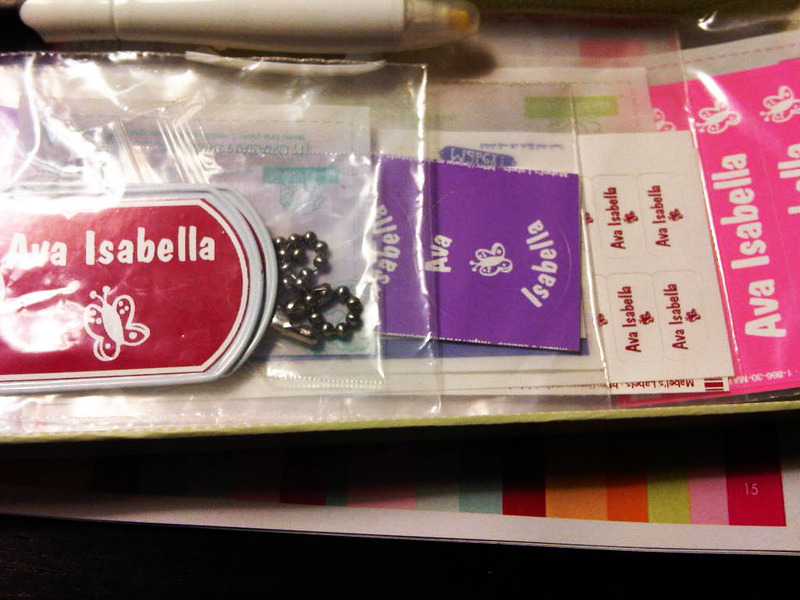 Before discovering Mabel’s Labels, I attempted to “create” my very own version of label’s — scotch tape did the trick! I’d rip out pieces and write her name down on them to stick to important items and articles of clothing. Tacky, I know. Not only did it look bad, they didn’t stick on very long. I was happy to discover Mabel’s Label’s and jumped at the opportunity to join Mabel’s Label’s affiliate program. Recently, I reviewed their Classic Camp/School Pack (you can purchase this great combo pack here). 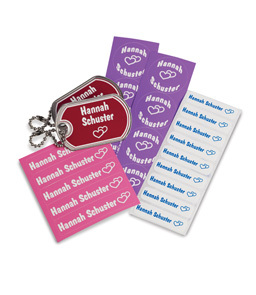 This included: 15 Sticky Labels, 8 Shoe Labels, 2 Bag Tags, 40 Iron-Ons or 50 Tag Mates™ (I chose the Tag Mate’s). Also, you have a choice of colours. I, of course, had to go with the princess colours for my little princess. A little more on these great label’s (no, they’re not just label’s, people). When I received my combo pack, they came in this adorable box (which I am definitely keeping to store little item’s), some great info on the company & products and of course, my label’s! I immediately started with my Tag Mates on some of Ava’s dresses/clothing item’s. 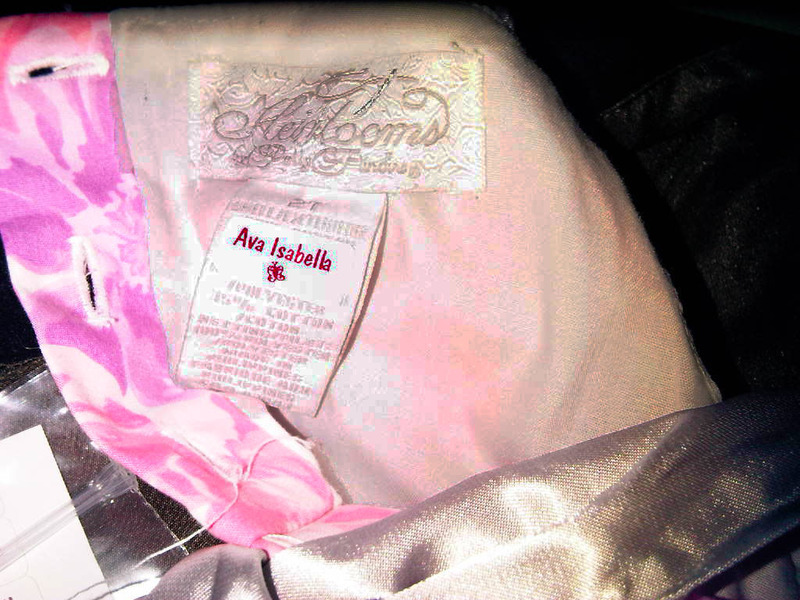 What I absolutely love about the Mabel’s Label’s Tag Mate’s are that they are not only laundry safe and UV resistant but they peel and stick to clothing labels with no ironing or sewing required. How awesome is that? No “extra work” needed. And they look pretty. 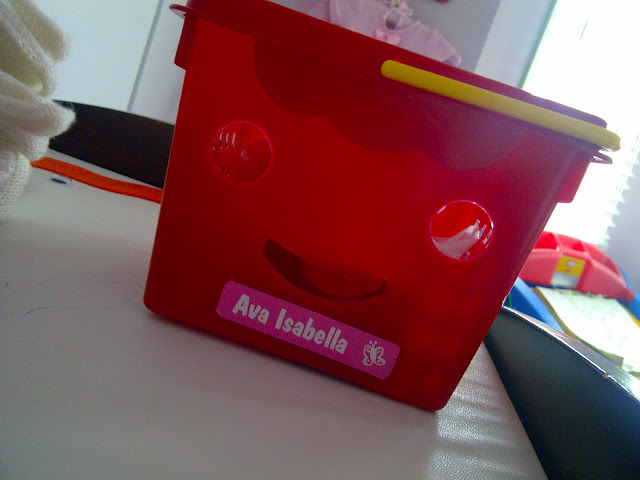 I told Ava she can help by choosing some of her favourite play toy’s to stick her label’s on and help me stick. Here’s her grocery bin with her custom label. Super cute! Her cousin (BFF) also has the same one and they play together often so I’m glad to know they won’t mix up their toy’s any longer. 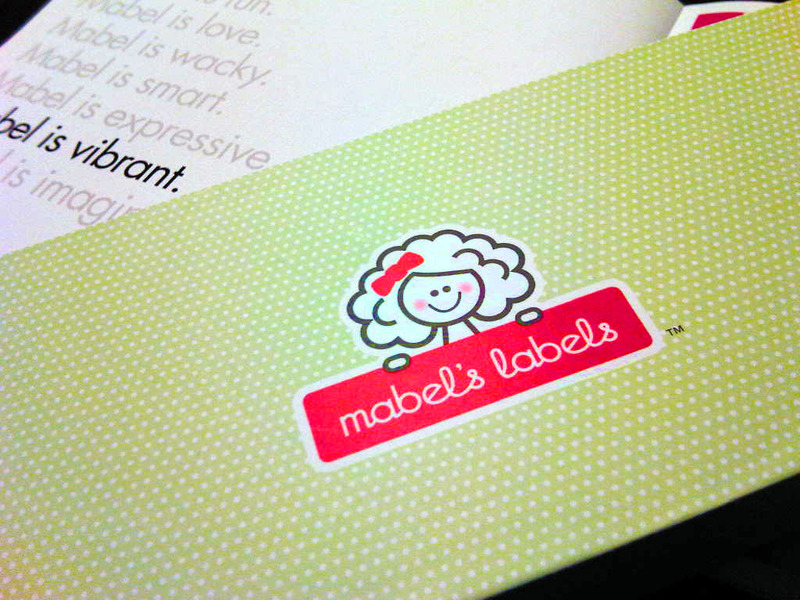 Overall, I was very impressed with the quality of Mabel’s Label’s. They really help you get organized and also make boring old objects appear more vibrant and fun! Use them for anything & everything your heart desires – clothes, shoes, bags, books, canisters, tupperware, loot bags… go wild! Check our their line up of Label’s and Products HERE. Now, for some more fun stuff! 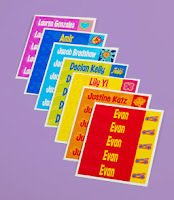 Mabel’s Label’s is offering my lovely readers the chance to win a pack of Colourful Sticky Labels! The bag tag’s are my favorite, they would definitely come in handy. 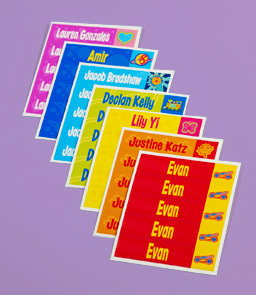 Tag mates are great for school! I love the tag-mates, really helps for my daughter’s clothes at daycare! I love the loot bag combo packs! also, now the stocking stuffer packs that are available! LOVE LOVE LOVE! I love the skinny minis that I use to label my son’s toys, sippy cups and bottles (and some of my “toys”) and the shoe tags. We’ll never lose toys or shoes again! 🙂 Every mom should know about these. LOVE the Bag Tags for my girls back packs!! The tagmates are my favorite because they go on clothing but you don’t have to iron! (Which I don’t like to do). So I would definately use these on my 7.5month old’s clothing especially for when he starts daycare so he doesn’t lose a thing! I love all the mabels labels products!! I want to label everything in our house. I’d love the bag tags. What a great way to keep everyone’s stuff straight.